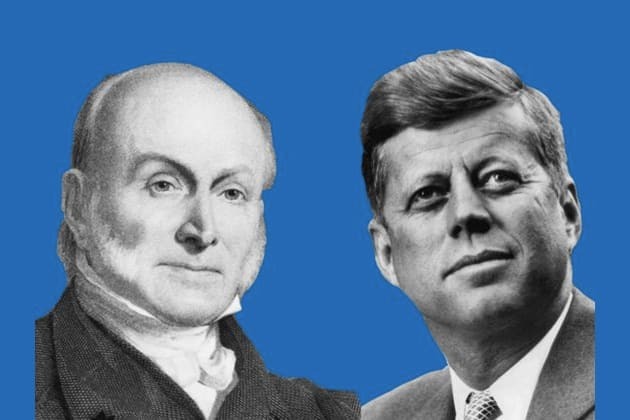 Are You More John F. Kennedy Or John Quincy Adams? What Type of Car Would You Prefer to Drive? How do you like to spend Friday nights? Where would you rather spend vacation? Does your family have high expectations of you? What type of show do you prefer to watch? When you have a huge test coming up, how do you study? Politely suggest that they try a different outfit. Tell them the truth. It is your responsibility to tell them the truth. Tell them they look great and let them go out wearing an awful outfit. What type of high school do/did you go to? You are the 35th president of the United States! Like John F. Kennedy, you have your eye on the prize. You are confident and intelligent, and always seem to have the right words. You have a great social life, and you can start a conversation with almost anybody. You are the 6th president of the United States! Like John Quincy Adams, you have high expectations to live up to, but that has only made you more determined. You are quiet and like to have your space, but you are good with words. You are a splendid writer, and you are very humble. Are you more 35th president or 6th president of the United States?